The phoenix Orion HS1110 series is designed and tested to the latest and prestigious European test standards for both Fire and Security Protection. 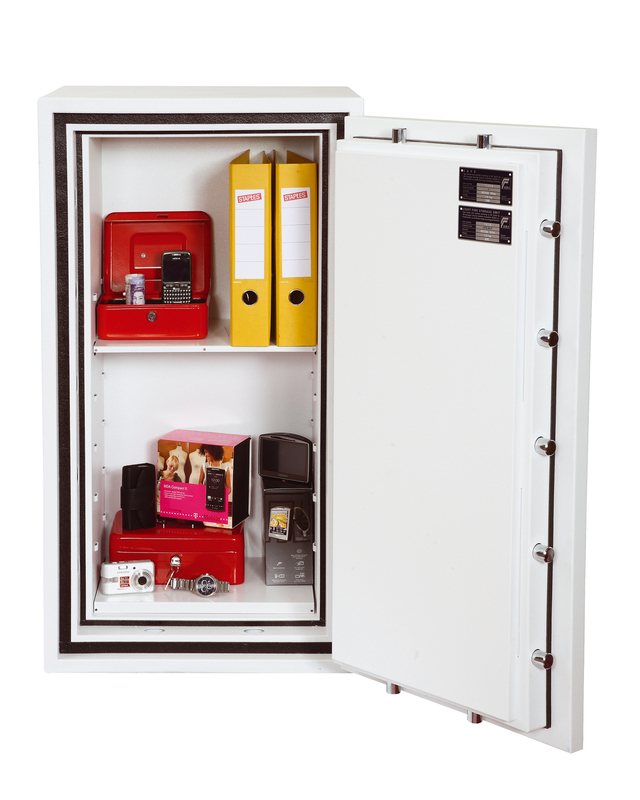 The safes have been tested to the prestigious European EN1143-1 Security standard grade 1 ECB.S as well as the ECB.S LFS60P standard giving 60 minutes of certified fire protection. The body is constructed of a double wall using high grade concrete infill giving a wall thickness of 77mm. 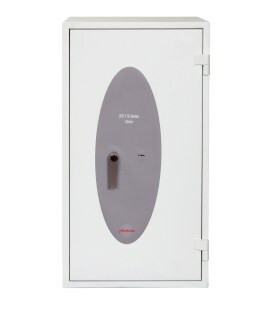 The door thickness is 105mm and constructed with anti drill plates and integrated re-locker protection which will lock the safe if the door is slammed shut in the event of an attack. There are two versions of these high security safes. A keylock and an electronic lock version. The keylock version comes with a high security double bitted Class I lock supplied with two keys. 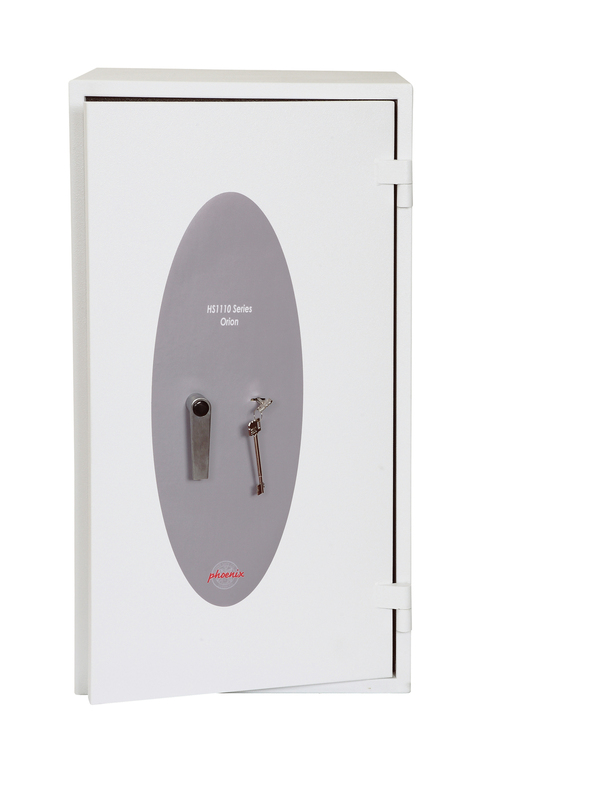 The electronic lock is an EC1 high security VdS class I (Secu A) lock which can also be programmed with time delay functions. The Orion series is also sometimes labelled the Constellation series.